Volunteer at the Naz Foundation-run care home in Delhi. Help children with HIV/AIDS learn art, craft, music, dance or just spend time with them. Send an email to for details. Offer jobs to the young women and men that the NGO works with. Donate in kind—sports shoes for young women and food packets, toys or clothes for children. Inform the NGO about children affected/infected by HIV who might be looking for support. Access the NGO's telephonic and face-to-face counselling services as well as drop-in medical services if you belong to the LGBT community. Phone counselling is available from Monday to Friday on +91 11 26321830 (2 p.m. to 5 p.m.) and medical services every Wednesday (5:30 p.m.-6:30 p.m.). Be a mentor in the NGO's 'Goal' programme, which uses netball to impart life skills to women from underprivileged backgrounds in Delhi, Mumbai and Chennai. Visit one of Goal's netball or life skills sessions after prior appointment. Invite children from the care home for educational trips or exposure visits to your community. Invite the NGO to set up sports-based development programmes in your community. Invite the NGO to offer capacity-building training to childcare institutions on providing care to children with HIV. Invite the NGO to offer workshops to schools, colleges, NGOs, corporate offices and medical professionals on sensitization about issues related to HIV, sexuality, counselling and care. Invite the NGO to offer advocacy skills training to other NGOs. Buy training manuals on sexuality-related issues produced by the NGO. 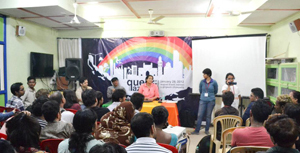 Naz Foundation (India) Trust is a Delhi-based organization that has been at the forefront of the battle against Section 377 of the Indian Penal Code that discriminates against individuals based on their sexual orientation. In 2001, the organization filed a PIL against the law and the Delhi High Court ruled in its favour in 2009. Post the December 2013 Supreme Court order reversing this progressive judgement, the NGO filed a review petition and is currently fighting to put an end to this archaic and unconstitutional law. The organization was established in 1994 with the primary aim of serving various communities by responding to the issue of HIV/AIDS, raising awareness about prevention, providing care and support to children and people with HIV, and removing stigma and discrimination against them. The organization is also focusing on women's empowerment through its 'Goal' programme, a sports-based HIV-prevention initiative. Through Goal, young girls from economically disadvantaged backgrounds are educated about critical life skills such as sexual and reproductive health, gender equality and financial literacy to enable them to make healthy and informed choices.